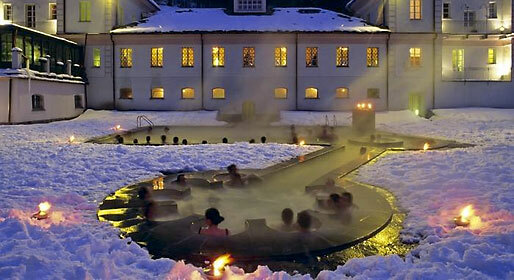 Aosta is the principal town of the Val d'Aosta, the small mountainous region located along the border with France. In Roman times, Aosta occupied a position of great strategic importance and, thanks to its favourable position, avoided invasion and managed to preserve much of its urban structure and monumental architecture. Under the reign of Carlomagno, Aosta was linked to the rest of Europe by the Via Franchigena; later it became the dominion of the Savoia and remained so until the unification of Italy. Today Aosta still conserves numerous traces of the past. From the Roman period there is the Arch of Augustus, Porta Pretoria, the Roman theatre and the old city walls. 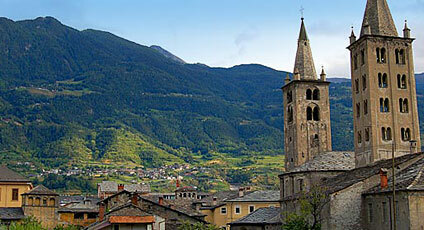 Aosta Cathedral and the Collegiate Church of St. Orso date back to medieval times. 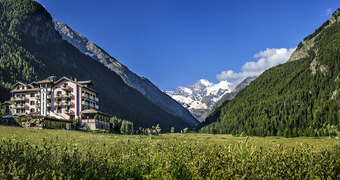 The National Park of Gran Paradiso is a must for nature lovers.